The glacier extends even deeper below sea level than previously believed, which sets the stage for further retreat, a concern for the U.S. East Coast. The largest glacier in Greenland is even more vulnerable to sustained ice losses than scientists previously thought, they have reported. 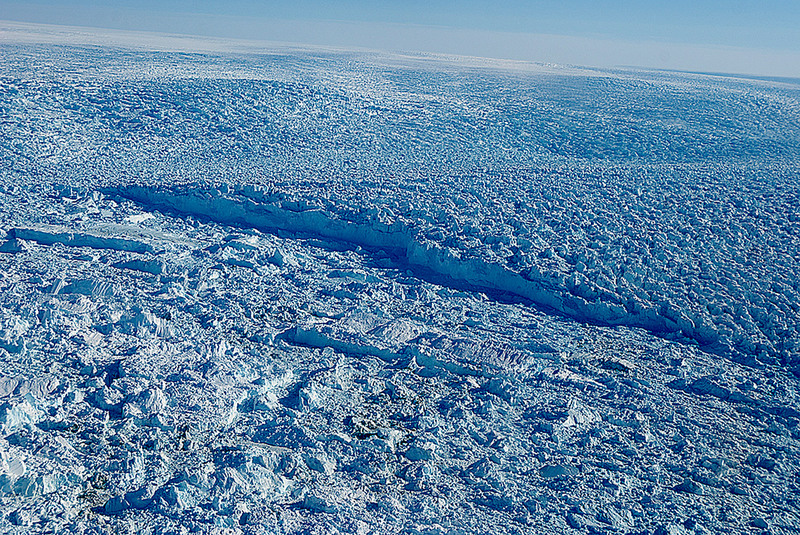 Jakobshavn glacier, responsible for feeding flotillas of icebergs into the Ilulissat icefjord – and possibly for unleashing the iceberg that sank the Titanic – is an enormous outlet for the larger Greenland ice sheet, which itself contains enough ice to raise seas by more than 20 feet. Of that ice, more than 6 percent flows toward the ocean through Jakobshavn, which has raced inland since the 1990s, pouring ever more of its mass into the seas – a change that scientists believe has been caused by warming ocean temperatures. If all of the ice that flows through this region were to melt, it would raise global sea levels by nearly 2 feet. Just from 2000 to 2011, the ice loss through Jakobshavn alone caused the global sea level to rise by a millimeter. But until now, researchers have not been sure how far Jakobshavn’s ice extends below sea level – or how much deeper it gets farther inland. That’s crucial because Jakobshavn is undergoing a dangerous “marine ice sheet instability,” in which ocean-front glaciers that grow deeper farther inland are prone to unstoppable retreat down what scientists call a “retrograde” slope. The study found that Jakobshavn is close to .7 miles thick where it currently touches the ocean (with only a little over a football field of ice rising above the water and the rest submerged). 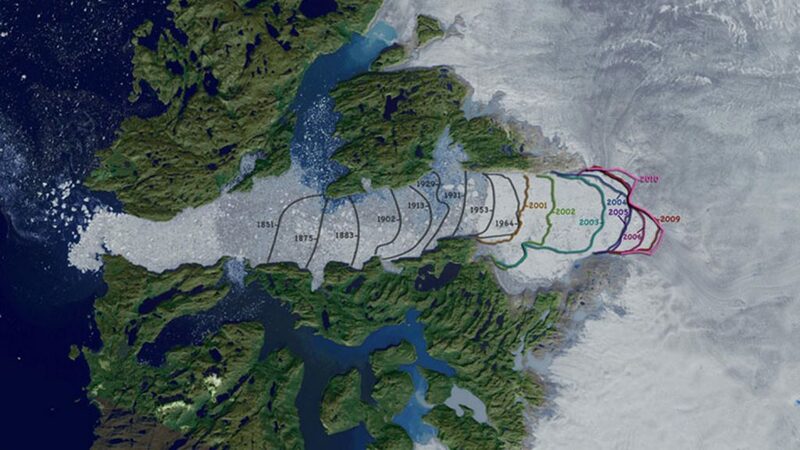 However, only about five to 10 miles inland towards the center of Greenland, the glacier grows considerably thicker and plunges deeper below sea level, eventually becoming over a mile thick, with nearly a mile of that mass extending below the sea surface. Moreover, the glacier is deep over a vast area.